Nice simple upgrades for your AFV F-5 Tiger II. Since 2007 they have released around 80 resin aftermarket items, these predominantly being weighted wheels. Royale Resin products are supplied in individual zip locked bags with a small A5 sheet of instructions however; most products are a simple replacement for the kit supplied parts and with no need for instructions. The resin parts are all well cast with no bubbles and minimal clean-up once removed from the casting blocks. for AFV Club 1/48 F-5E/F, RF-5E Tiger II Kits. 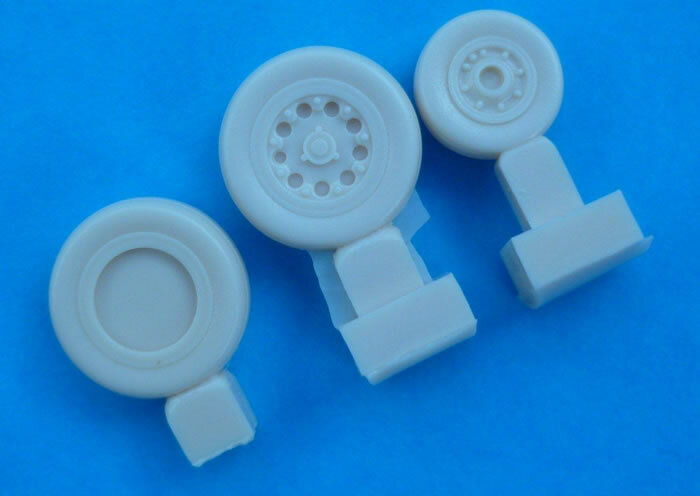 This set is a direct replacement for the kit supplied wheels with a very subtle bulge adjacent the casting block. for AFV Club 1/48 F-5E Tiger II Kits. This set requires you to assemble the plastic engine inlets and then remove them to allow the resin replacement parts to be inserted. These inlets have the solid inlet covers vice the inlet bungs seen on some aircraft. The final item is a AoA probe cover. Support a small cottage industry. These are very high quality castings that will add detail to your F-5 Tiger II. Highly recommended. 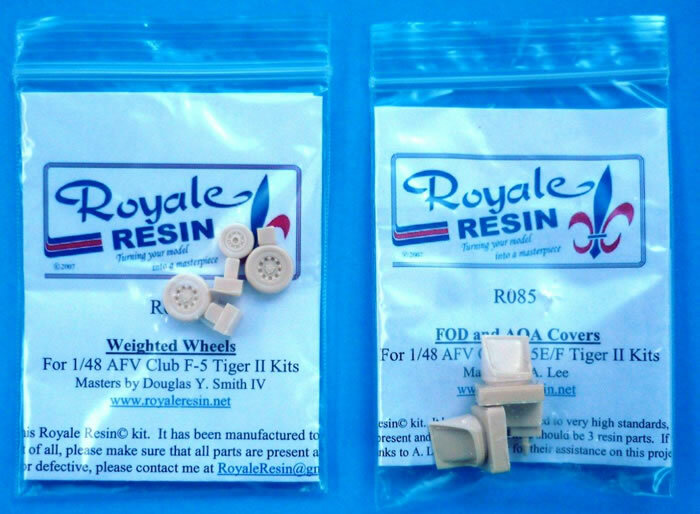 My thanks to Royale Resin for the review samples.